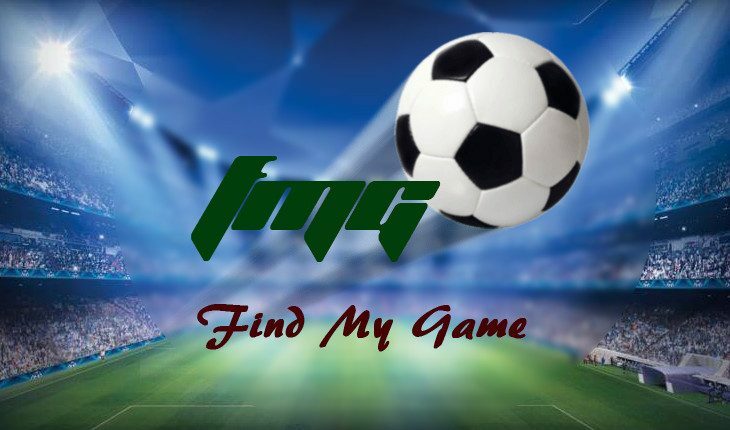 Find My Game is a Kodi addon belonging to the sports category, its main feature is to find sports streams by searching other addons and bringing them to the fore. Finding a working / good quality stream of a certain sports event you’re interested in watching may require a lot of trial and error before you succeed. 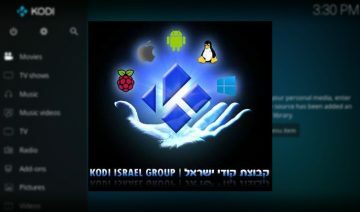 Find My Game Kodi addon is aiming to mitigate your stream hunting endeavor by automatically collecting links from various addons it supports and concentrating all in one place. 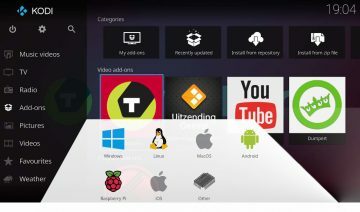 To install FMG, apparently the easiest way to go is by installing it through Indigo addon or ADDON INSTALLER (both of which are part of the TVaddons repository), as these would install the necessary dependencies automatically for you. 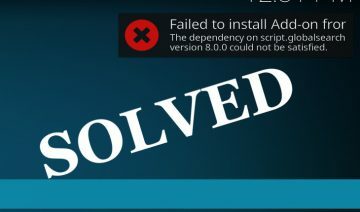 Update: ADDONS INSTALLER appears to be deprecated now in favor of Indigo, so, if you’re an existing user you’re therefore encouraged to migrate to Indigo. 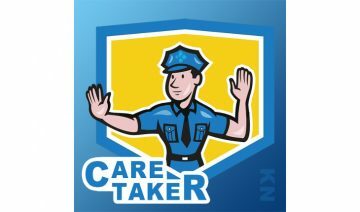 So, if you haven’t got any of the aforementioned installed yet, I recommend visiting those links to learn how to install them. 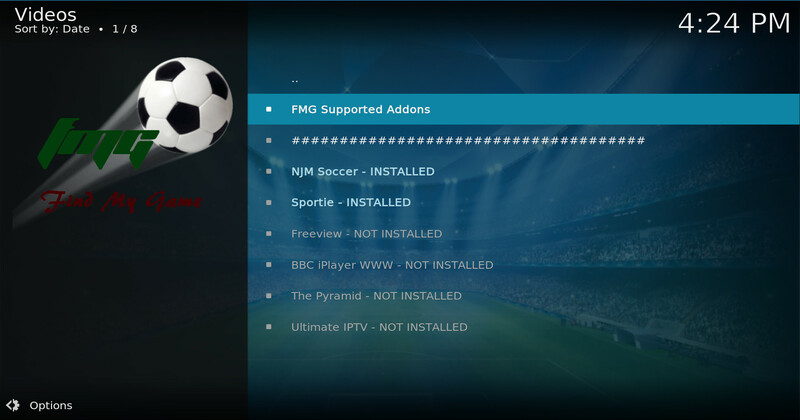 Otherwise, the following guide will take you through the steps of installing FMG using Indigo addon. 1. 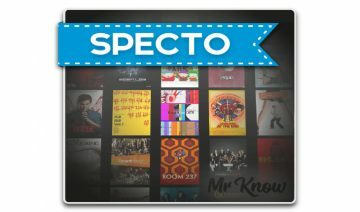 Open up Kodi and go into Add-ons > Program add-ons > Indigo > Addon Installer > Sports Addons > Find My Game. That’s it, the addon is now installed. 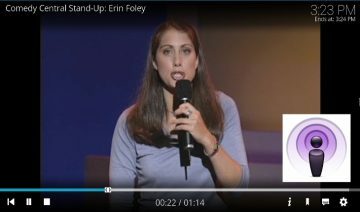 Go back to the main Add-ons screen where you’ll find FMG under the Video add-ons category. Upon accessing FMG for the first time,I recommend entering the first link inside it which reads: FMG Supported Addons, as it’ll show you what addons are supported by FMG and whether you have any of these installed. Nevertheless, the addons I did have had already proven to work in the past, hence I couldn’t quite figure how come I kept encountering “Sorry, no links were found.” error upon every link I clicked. Although, I have to reserve the upper clause by saying that FMG has done a good job of listing the sports events chronologically, so some of the links I clicked might have been affected by the fact that their stream simply hasn’t began or was already over at the time of clicking. 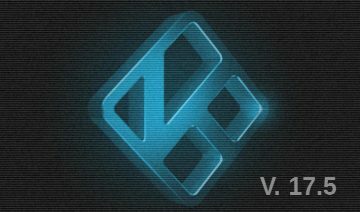 Other than that, I found FMG to be useful for listing the main events of the day in case you’re not one of those who is generally in the loop, though obviously, there are plenty of other online resources out there you use instead. 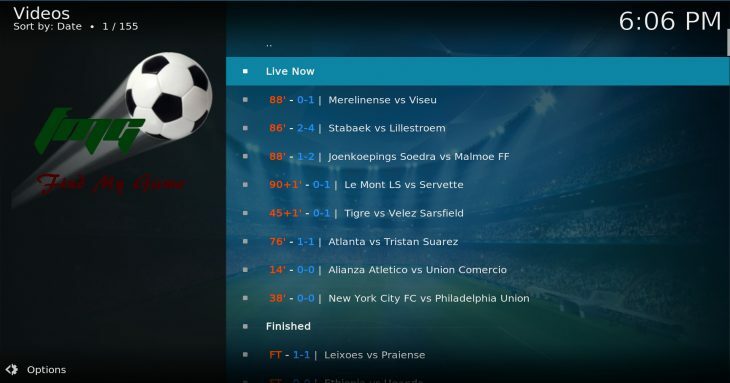 Another feature existing in FMG is the Live Scores of Today’s Games which include sections of: Live Now, Finished and Later Today so you can get quick updates of results of games you’ve missed or those that are currently taking place but may not be airing. All in all, I would say about FMG that I liked the idea of what it’s trying to do, I also liked the simplicity in which it’s organized, but, and that’s a big but, the main goal it is meant for, that is finding live links and streaming them, simply didn’t work for me (though as I said, I only used to of the six supported addons) and that’s something the developers should really pay more attention to I would say.